The highest compliment anyone could give us is to say that we worked hard for you, that we solved your problem, and, most of all, that you are a satisfied client. Aura Technologies LLC. is application development company -- for both PC and Mac -- dedicated to making YOUR computing experience easier, faster and more efficient. IPSA plans to work towards a better world. We wish to use the strength of the citizens to guide the holistic development and growth and replicate the model to the entire world. 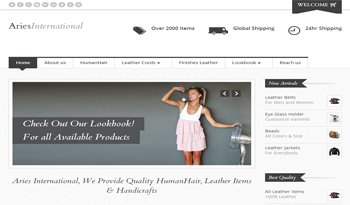 Aries International is a Import and Exporte House of All kind of leather, Human hair, and hand made items. 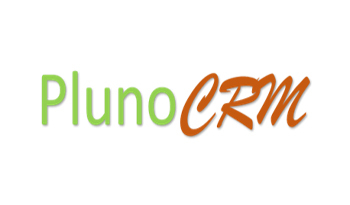 Pluno is a customer relationship management software developed by REPRAR for our client. REPRAR is a Information Technology, Enterprise solution, Web Solutions and Advertising company. It is one of the wonderfull and most respected companies in private sector. We are often asked, "What is it that you do?" We tell them, humbly and faithfully: we do remarkable things. 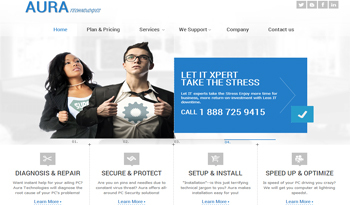 We solve your challenges and help you achieve big milestones. We are elite in providing customized solutions for web development, software & applications, advertising, creative tools and mobile apps. Our mission is to make your footsteps visible in today's competitive environment through an innovative and flexible solution for your most pressing challenges. 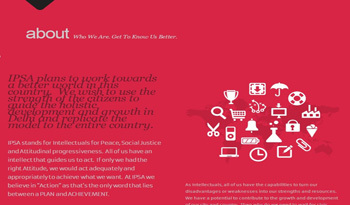 REPRAR believes that progress must be achieved in harmony with commitment to corporate vision. In response to changing market dynamics, REPRAR has gone through a phased process of redefining organization models that facilitates growth through greater levels of project delivery.